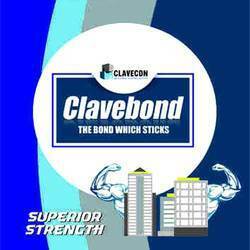 We are a leading manufacturer, supplier and trader of the Clavebond. Our offered products are Autoclaved Aerated Concrete Block, AAC Block, and Lightweight AAC Blocks. Owing to our technological adeptness, we are at the forefront of manufacturing and supplying best quality Clavebond. It is the dry mix thin joint widely demanded for its superior adhesion and higher levels of productivity. Clavebond is a factory prepared adhesive mixture which is processed with computerized quality control methods to ensure best quality resultant. Further, the offered adhesive is ready to use and can directly be applied to various substrates, and, our prestigious clients can order it from us at nominal price. Clavebond is a product of a Clavecon , joining material of AAC blocks, fly ash bricks and concrete blocks. ClaveBond Dry mix is a thin - joint, high strength adhesive for quick and firm lying of AAC blocks. It is a computerised factory made mixer , easy to apply and high quality mortar in comparison of traditional mortar available. Clavebond helps to speed up the build process and compliments AAC blocks in achieving require thermal insulation qualities. Clavebond is pacy, purified and perfect material for construction using AAC blocks with this it is completely economical and environment friendly.